Stipend: $100/a week with a parking subsidy, and a housing opportunity to be discussed. The position will assist in the organization, implementation, and marketing of education programs targeting schools, community organizations, and families. The position will be responsible for working with the education coordinator to prepare up to five major education programs. To apply, send a cover letter, a resume and two references to Education Coordinator, Kristen Schulte by February 17th, 2017. 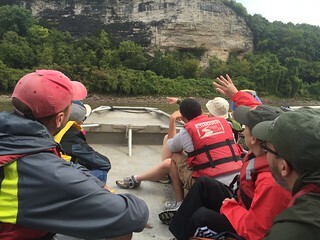 Missouri River Relief is a non-profit dedicated to connecting people to the Missouri River from Omaha, Nebraska to St. Louis, Missouri. We do this through three avenues: Missouri River clean-ups, education programs and outreach events. 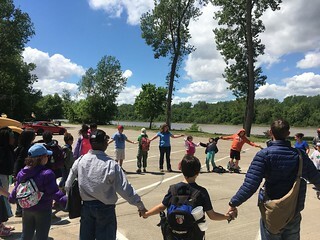 This position will work directly with the Missouri River Education Programs, engaging the participant’s innate sense of wonder and natural curiosity to explore the Missouri River through a place-based program that is interdisciplinary in nature and experiential in character. 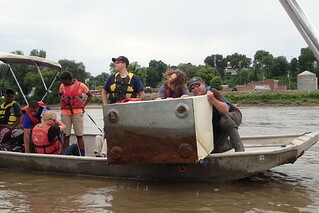 The Education Assistant will seek to build participants’ knowledge and understanding of the Missouri River through hands-on experiences that will deepen the participant’s connection and sense of responsibility to its care and stewardship. The Education Assistant will assist in the organization, implementation, and marketing of education programs targeting schools, community organizations, and families. The position will be responsible for working with the education coordinator to prepare for up to five major education programs. 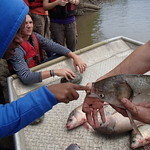 Experience in environmental education or river-related conservation activities. Ability to present to a diverse audience with poise and confidence. Comfortable with handling budgets and the ability to track expenses and revenue information. Self-directed, with the ability to plan for lessons with minimal supervision. The desire and skills necessary to be accountable for assigned tasks. Computer skills, including experience with PowerPoint, MS Word, and Excel. Good sense of humor; ability to keep things in perspective. A valid driver’s license and proof of mandated state automobile insurance. A reliable computer to use for assigned task. High level of Management: Assist in the organization and implementation of Missouri River Education Programs for participants. In order to accomplish this, the candidate must have the ability to learn how to develop lesson plans, present engaging lessons and activities, assist with program expectations and management, manage a program budget, track results and develop healthy relationships with participants. Communication: Communicate effectively with participants using a variety of formats. Examples include: written communications that clearly outline a program schedule; a lesson plan; verbal presentations during programs; e-mail exchanges with program participants, partners and the education coordinator. Dependability: Seek increased responsibility while remaining conscientious, thorough, accurate, and reliable with respect to achieving the programs' goals, and the needs of the participants. Assist in the organization, implementation and marketing of educational programs targeting schools, community organizations, and citizens to increase public awareness and participation. 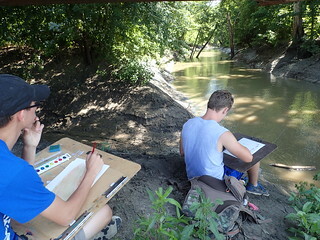 Assist in the oversight of activities associated with planning and conducting education programs, including but not limited to "Omaha Clean Up and Educator Workshop", "Stewardship on the Missouri River with Missouri Scholars Academy", "Missouri River Sunset Excursions with the City of Columbia", and the "Missouri River Academy", a 5-day summer river camp. Collaborate on program outreach including news releases, media announcements, brochures, fliers, newspaper articles, websites and social media. Purchase, organize and inventory materials to maintain adequate supplies. Plan, purchase and prepare healthy, well-rounded meals for participants. Collaborate with the education coordinator to prepare curriculum and schedules. Ensure activities and programs are safe for participants. Set up clear lines of communication for working with partners and participants. Assist with preparation and analysis of program records, assessments, and evaluations for grant and annual reports. Enhance programs via participant feedback and experience. Other duties as assigned by the Education Coordinator. Require flexible hours and will include working several (3) weekend programs. Require regional travel to and from education programs. All travel will be completed using Missouri River Relief vehicles. Travel to locations will include: the surrounding Columbia, Missouri area, Omaha, Nebraska, Hermann, Missouri and New Haven, Missouri. Demonstrate the ability to draw on core values, knowledge, and personal experience to make judgment calls and decisions. Demonstrate the ability to think, function and teach effectively under conditions of mental pressure and stress. Capability to perform manual labor in all kinds of weather, including standing, walking, lifting, kneeling and crawling. If you have questions, feel free to contact Kristen Schulte at 573.443.0292 or by email. Send a cover letter, a resume and two references to the Education Coordinator, Kristen Schulte by email by February 17th, 2017. Do you have any questions; just call 573-443-0292 or e-mail.